Starting high school is an exciting time in any child’s life, but it’s a big step up from primary school. It is normal for your child to experience anxiety and nerves throughout this transition. As parents, your involvement and support during this period of change is important, as research tells us that family support and parental engagement are linked to academic success. In the lead up to starting high school, encourage your child to talk about their feelings. He or she may be anxious about starting high school or may be struggling to settle in. Chat about their concerns – whether it’s the workload or having to make new friends – and how you can help them.To prepare your child for high school, talk about these worries before they begin this new chapter and make a plan to overcome them. This will prevent them from feeling Reassure them that it’s completely normal to have mixed feelings about starting high school. Familiarising your child with the high school can help with their transition. Attending orientation events is a great way to do this. Most schools have open days where future students and parents can come to meet the teachers and tour the facilities. Walk around the school and get to know where specific rooms and offices are. This will give your child a chance to become familiar with the school so that he or she isn’t completely lost on the first day.If your child is walking or catching public transport, practise the route with them so they can confidently travel on their own. Forming friendships/bonds with other children starting high school can really help your child with this transition. The teenage years are significant because children are making a shift from relying on their parents to learning to trust and rely on peers.A common occurance is that children find friends from their primary school who plan to attend the same high school. If they live close together, they can travel to and from school together. 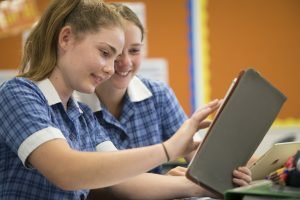 This gives them the opportunity to share and compare experiences and helps them to normalise what they are going through.Clubs and extracurricular activities can also be an easy way to connect with other students who have similar interests, while also building a support network at school. In high school, there is an increased expectation for students to take responsibility for planning and organising themselves. This might include resourcing materials, getting assignments in on time or being prepared for exams and tests. These habits can take time to develop so it’s important to work on this, preferably before high school begins. Encourage your child to become more independent. Help your child to develop habits such as organisation skills and time management. Allow your child to take responsibility of scheduling time and keeping track of deadlines. This will sharpen their organisational skills and allows them to take on a more challenging workload in high school. Sit down with your child and set goals to achieve in the new school year. These goals can be academic, such as achieving certain grades, or social, such as joining the swimming team. Setting goals help to give your child a clear path to getting the most out of their high school experience. Help your child to understand the new school routine – the timetable, the lunch breaks, and the start and finish times. The flow of high school is different to primary school, so your child will need to know what to expect. Get all their books, uniforms and school supplies organised well in advance so they feel reassured and prepared. With the right planning and support, the transition to high school can be a lifechanging and empowering experience that sets your child on a path toward a successful future. 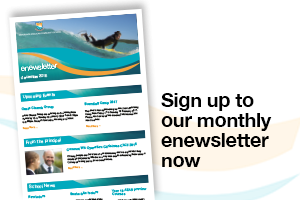 If you would like to know more about EACS, sign up to our enewsletter.